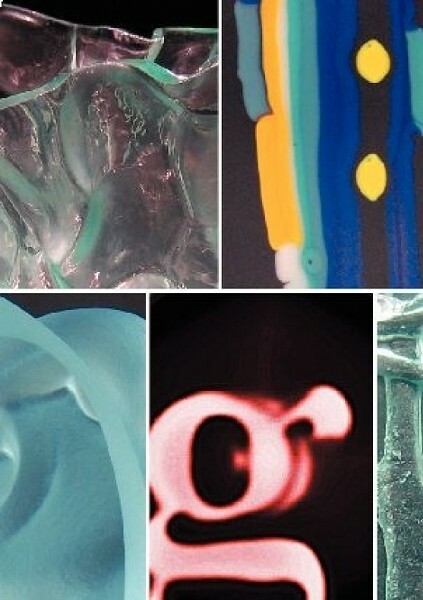 Glass art is really a study in the properties of matter itself. Transformed through heat into molten liquid and then back again into twirling, twisting solidified shapes, glazed or stained with the entire spectrum of colors, cut with precision instruments or even shattered into crystalline fragments, glass has emerged as one of the most startling artistic mediums, with stunning visual possibilities. The Salt Lake Glass Art Guild was started a dozen years ago to foster an art form that, at the time, you’d have to travel to the Philchuk School in Seattle to have the equipment to fully pursue. The group has grown since then to encompass artists working in every glass-art style, and more than 40 of them can be seen at Fusion & Vision—an apt title, since their work fuses the material with their creative vision in a way no other artistic medium really does. Rusho, guild President Cheryl Peterson and Vice President Cheryl Merz will be offering a look at glass art from an artist’s point of view during the gallery strolls on Aug. 20 and Sept. 17.